Climate is key to horticulture operations at the Garden, directly influencing everything from the selection of plant species on display down to the exact locations in which they are planted. In order to ensure the performance and sustainability of the Garden's living collections, horticulturists rely on an innovative network of recording devices and databases to track and analyze weather conditions throughout Garden grounds. 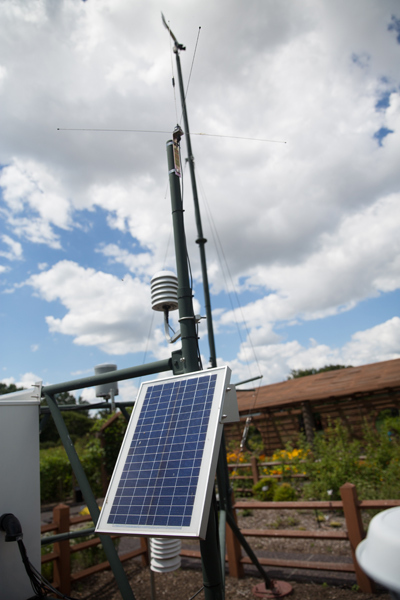 Located near the William T. Kemper Center for Home Gardening, the Garden's Remote Automated Weather Station (RAWS) records and transmits real-time temperature, humidity, precipitation, soil moisture level, solar radiation, photosynthetically active light levels, and wind speed and direction. 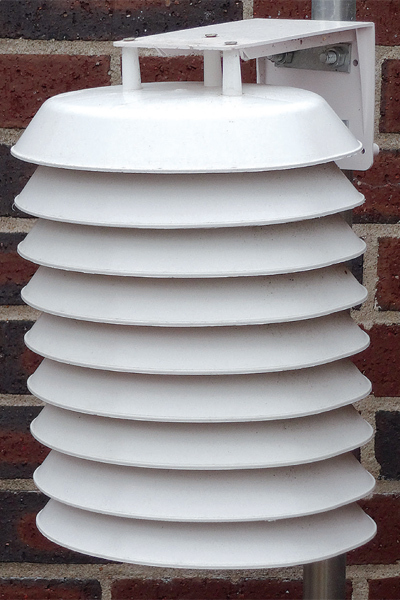 25 data loggers located throughout the Garden track variations in temperature that can exist in areas just a few square feet apart. These distinct atmospheric zones, called microclimates, can have a significant impact on the ability of certain species to thrive. Once downloaded, the data collected by the RAWS and microclimate sensors throughout Garden grounds allows horticulturists to track conditions over time. When combined with plant records from the Garden's Living Collections Management System, this information can help horticulturists anticipate how plants will perform in the future.